It was inevitable that Timothy Truman and Tomas Giorello, who have already adapted so many of Robert E. Howard's Conan stories into graphic novels, would eventually get to The Hour of The Dragon - the one novel-length Conan story Howard wrote. Those of you who have enjoyed their previous collaborations on The Scarlet Citadel and The Phoenix On The Sword will find more of the same here. As for those of you who haven't read a Truman/Giorello adaptation before, you're in for a real treat. Truman's scripts stay largely true to the original Howard text. His only real addition is a framing sequence involving a young scribe recording the life's story of an aged Conan, long retired from heroics to wear the crown of Aquilonia on his weary brow. 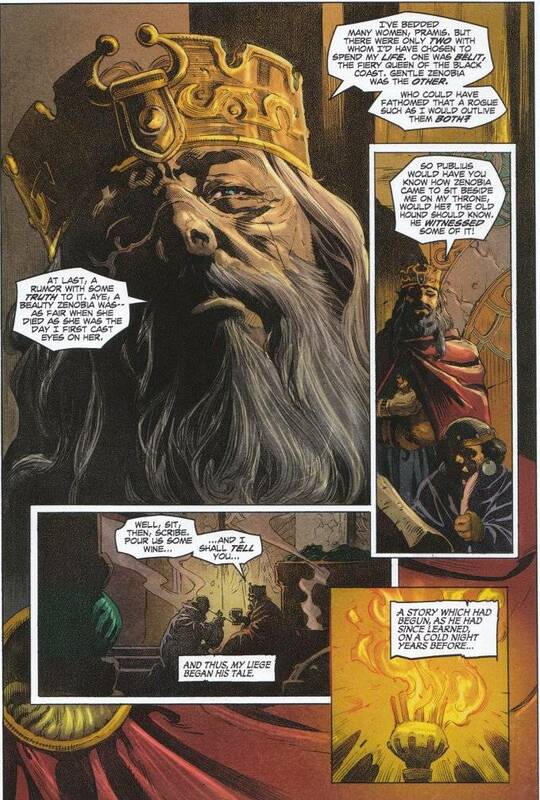 These sequences connect this story with Truman's other King Conan adaptations while easing new readers into world of Hyboria. Giorello is one of my favorite Conan artists. 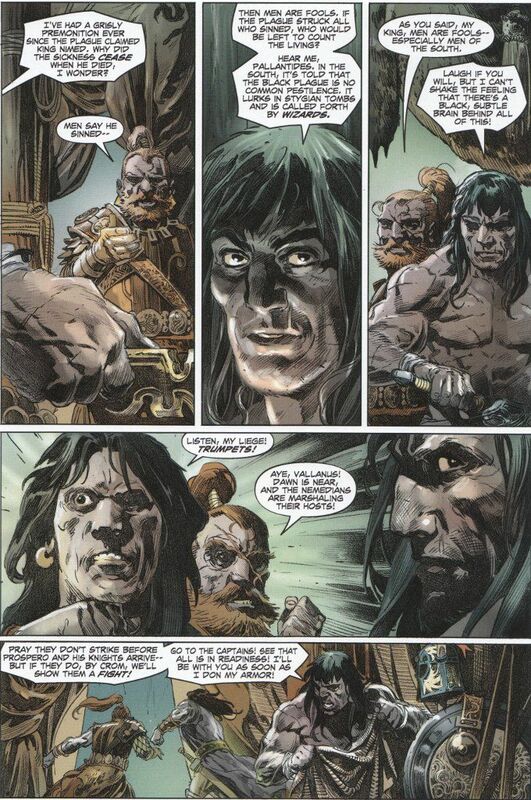 His style is as dark and savage as Conan himself, full of rich details and character in every panel. Credit must also be given to Colorist Jose Villarrubia, whose palette is as somber and dull as the Cimmerian highlands, save for the vibrant and wild colors he uses to depict the torches that seem to be the only source of light in Giorello's Hyboria.